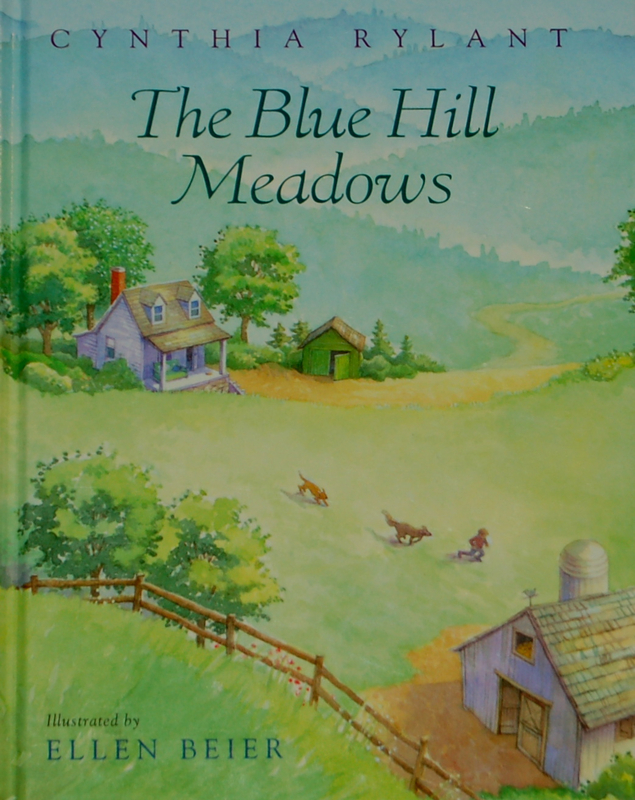 Willie Meadow lives with his family (mother, father, and big brother) in Blue Hill, Virginia - a green valley with mountains and lakes nearby. 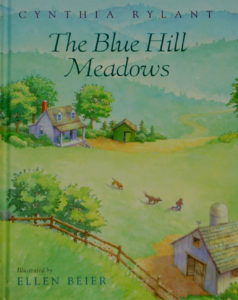 Things in Blue Hill seem to belong to a simpler, slower time. This is a book about Willie and his family, told in four stories. In the first story, the family adopts a stray dog. They name her Lady, and they all dote on her in their own ways. The mother brushes Lady's coat. The big brother wakes up early to feed her and take her outside. The father sneaks her ice cream. Willie seems to understand Lady the most. "And when Lady wanted to play, Willie knew how to be a dog for her and tug and jump and roll. Willie didn't mind being a dog and sometimes wished he could stay one a good long while." When they realize that Lady will have puppies, the family is thrilled. They find good homes for the puppies, and keep one for themselves (along with Lady of course). In another story, the father in the family (Sullivan) takes a day fishing trip with one of his sons. "Sullivan liked to take the boys fishing one at a time ('to get to know them on their own,' he'd say), and this delighted Willie." On the day of the fishing trip, Willie and his father wake up at dawn, eat a big breakfast, and set off. They rent a boat on a lake, and spend the morning happily (and quietly) fishing together. They have a grilled cheese lunch at a nearby restaurant where they talk and tell stories. In the third story, the weather report says eight inches of snow is coming - and people get carried away, closing shops, getting off the roads, and sending children home early on the school buses. Willie Meadow is supposed to take a bus home. But, the buses park in different places and he can't find his bus. By the time he finds his teacher to help him look, all the buses have already driven away. Willie and his family (who come to get him at his teacher's house) end up waiting out the storm at Willie's teacher's house - playing games, making cookies, and playing with cats). In the final story, Willie's teacher reminds his students that Mother's Day is coming. Willie is worried about this, and wonders how to find the perfect gift for his mother. "This year he could think only of one thing: he must give his mother a gift that meant something." Two days before Mother's Day, Willie finds his mother staring out the window watching a large wild rabbit. And, Willie knows what to do - get her the rabbit. But, since Willie knows his mother wouldn't want a wild rabbit in a cage, Willie wants to make the rabbit stay around. So, on Mother's Day, Willie plants a garden for the wild rabbit, right under his mother's tree. It is the perfect gift. This is a book of sweet stories of family life, perfect for beginning readers ready to move on to chapter books. There are small, colorful illustrations on every page. The text is in longer paragraphs. There are four chapters. The stories are full of family comfort and caring, told in Rylant's flowing, easy-to-follow style.